There are some really great things about carpet in a home I’m sure, but it just doesn’t work for our home and needs. 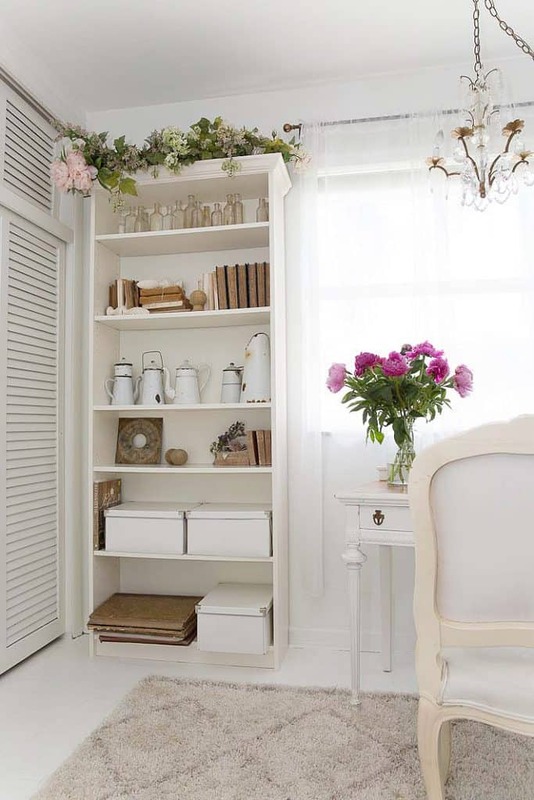 color to a room and softening up the setting for walking and even sitting on the floor! Since I’m ALWAYS shopping my own home and moving things around, rugs get moved too. Today I brought this little French settee from my French modern home office into the master bedroom and I’m kind of loving it! I have been thinking about purchasing a tufted bench for the end of the bed, but I’m trying this out first. Honestly I don’t use it in my office as much as I thought I would. Perhaps it will be more useful in the master bedroom for a place to sit and put my shoes on. I’m giving it a test run and will let you know! 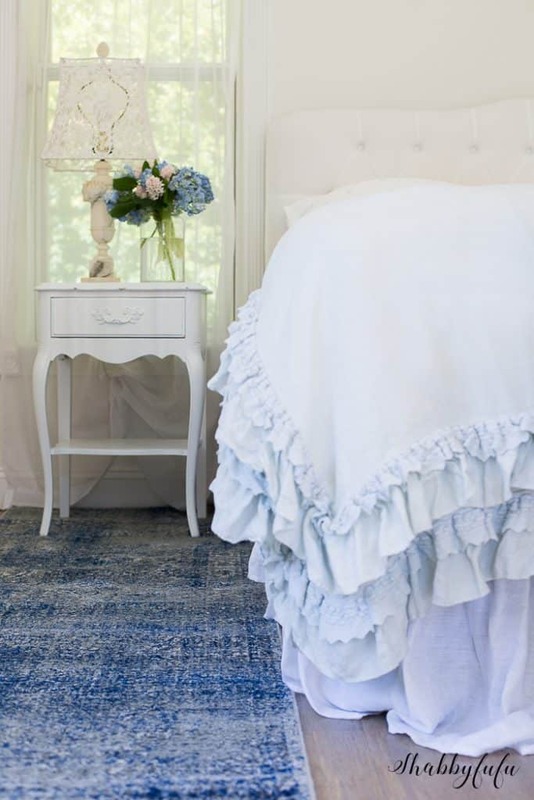 If I’m tired of it or want to change out the bedding (which I do a whole lot! ), area rugs are so versatile and easy to relocate. I had some time to play around today and moved one of the runners into the kitchen to see how it would look in front of the sink area. 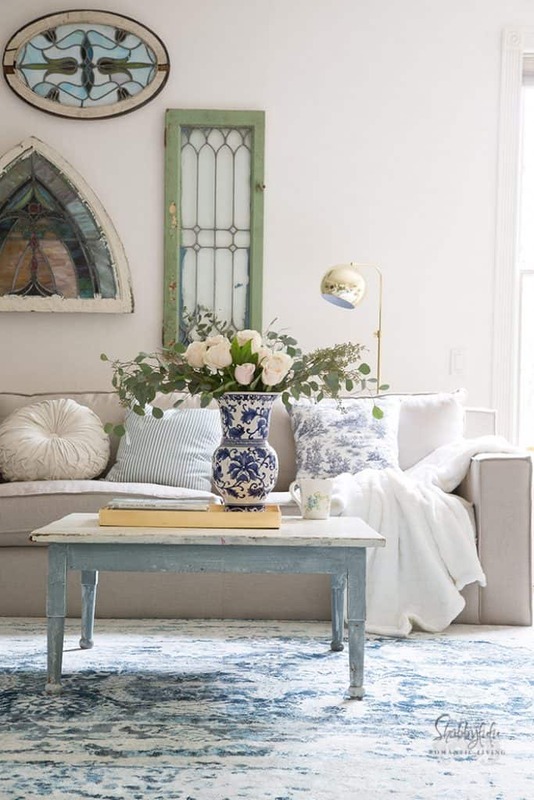 The color reminds me of an old favorite pair of distressed jeans, and that goes well with the subtle accents in most of our home. 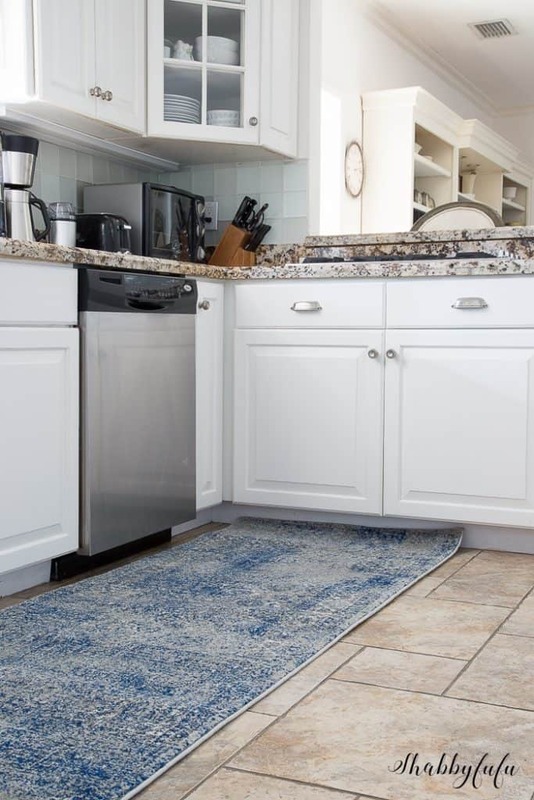 This rug is a synthetic and from my experience as an area rug collector the synthetic fiber rugs are super easy to clean with just some light detergent and water. 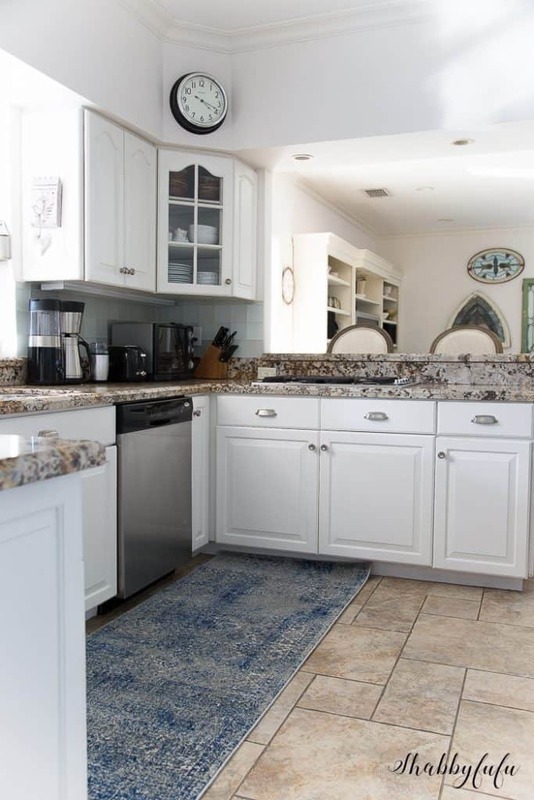 As much as I love this one in the kitchen the squeeze is tight, so I’m still playing and may take at least one up to our beach home to see if it fits. 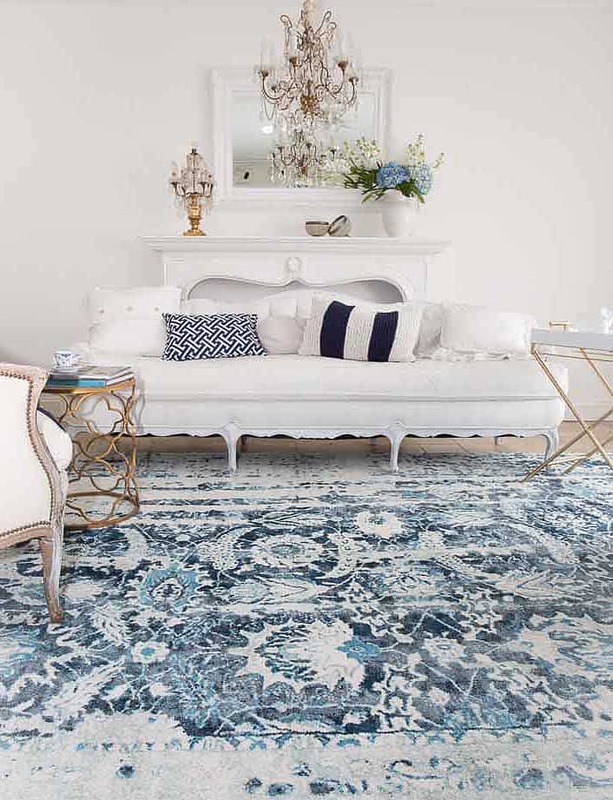 Note…make sure to carefully measure your space when looking for an area rug for your room. The AERIAL RUG walks around my house a lot, and it’s a real showstopper. If you keep your accent colors in your home limited to a couple of tones then it’s easy to move things with a natural flow. 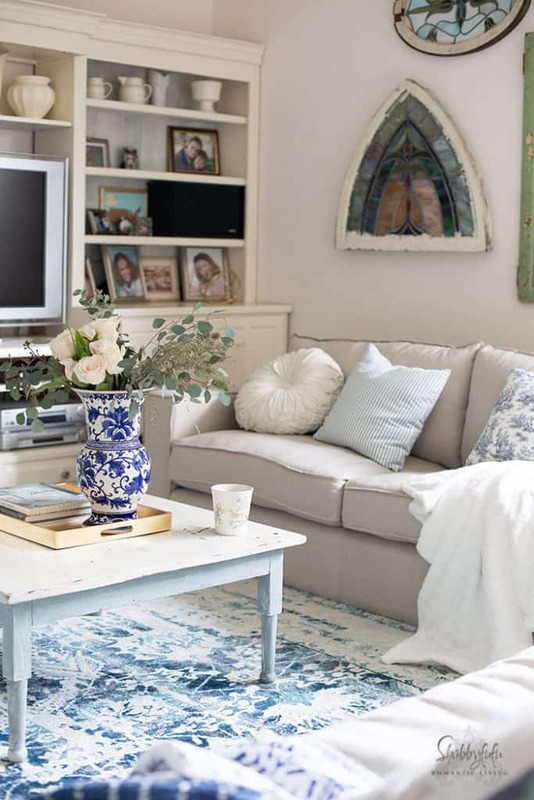 Our family room recently received a makeover and in THIS POST I showed you more of the room. I wish that I had before shots going back to the very beginnings of this room…as it used to be the garage before digital cameras were a thing. One of these days I need to dig through the boxes of old photos and see if I can find some of this flop of a house and compare it to how it looks today. 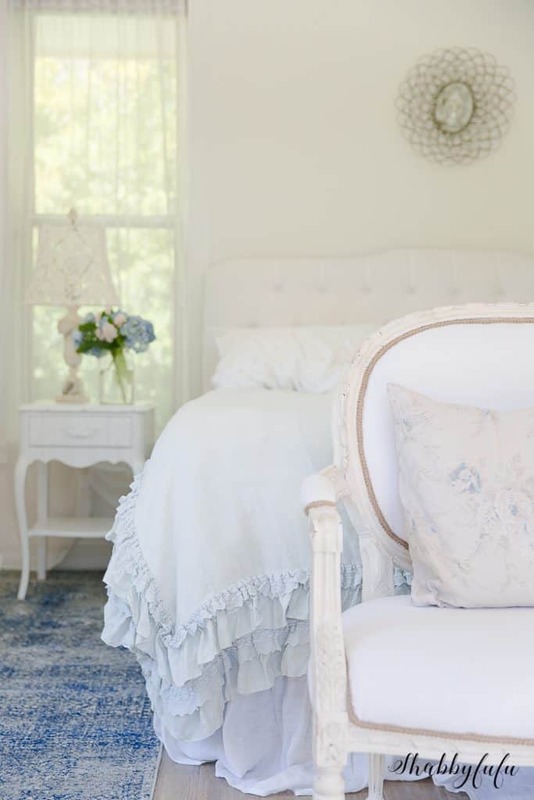 A room that gets photographed often for the blog and sees lots of seasonal changes. Having a soft area rug to walk and sit on is essential for comfort here. 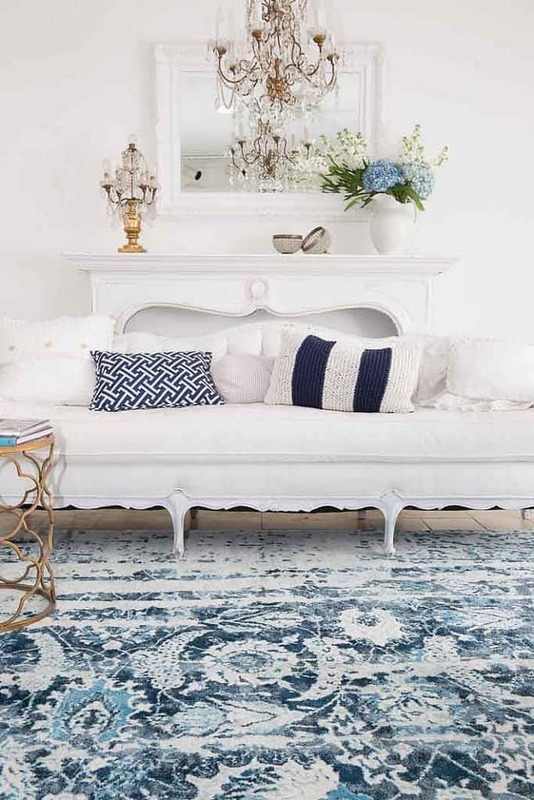 For more shots of the rug you can check out THIS POST. My French modern home really appreciates the various rugs that we have and with the tile that mimics stone they are a nice color pop. Have I told you how content I am spending my days working in here lately? 🙂 It’s a quiet spot at the front of our home so that I can keep an eye on things outside and work. The floors are wood and I’ve talked more about the challenges of redoing this space HERE and some other posts listed under HOME TOUR in the CATEGORIES . 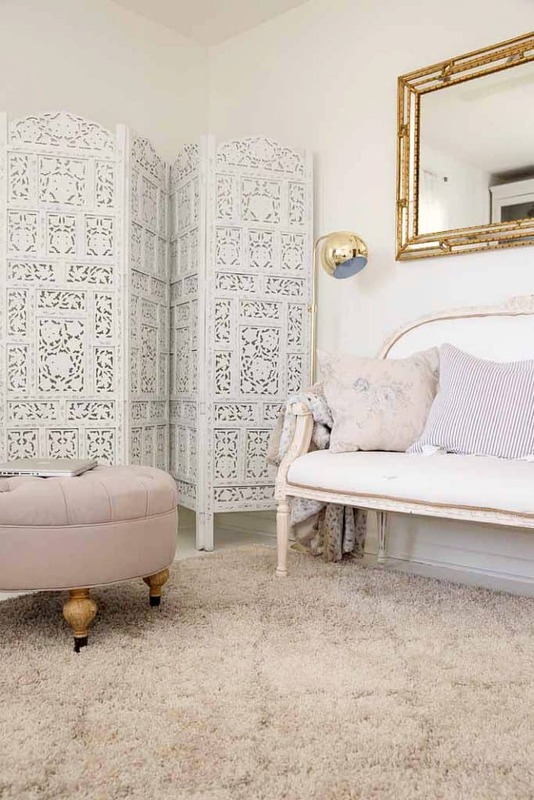 My Moroccan Trellis rug is modern and the style in this room is so eclectic, but it all seems to go and the rug softens and ties it together.